Officially incorporated as a city in 1957, Myrtle Beach is the “heart” of the Grand Strand. Previously known as Long Bay, Withers and later New Town, the area was originally home to the Waccamaw Native American Tribe. Around 1900, the town was renamed Myrtle Beach in honor of the abundant Southern Wax Myrtle growing in the area. Today, the Myrtle Beach real estate market offers buyers a variety of options, from newer up-and-coming communities to more established neighborhoods. Residents enjoy a wide array of attractions, golf courses, shopping centers, family entertainment, museums, live theaters and more. Myrtle Beach encompasses both the main city as well as several nearby communities just outside city limits, providing residents and homebuyers with many great neighborhoods to choose from, all with unique identities and special amenities to offer. More established communities like Pine Lakes, The Dunes and Dunes Cove offer quiet neighborhoods with mature landscaping and lush foliage. All feature a mix of traditional and modern home styles conveniently close to the beach and nestled among many of the top golf courses in the area. Two of the fastest growing communities in the area are The Market Common and Carolina Forest. The Market Common is a mixed commercial and residential urban village community situated on the site of the former Myrtle Beach Air Force Base. The neighborhood features a plethora of shops, boutiques, eateries and parks in harmony with a variety of residential options including condominiums, townhomes and single family houses. Situated between downtown Myrtle Beach and Conway, Carolina Forest is one of the fastest-growing communities in the Myrtle Beach real estate market. Carolina Forest is bordered by the Intracoastal Waterway and the 9,000 acre Lewis Ocean Bay Preserve. The up-and-coming community boasts one of the top school districts in the state as well as its own library, recreation center and fire station. Despite its rapid growth, approximately half of the land in Carolina Forest is reserved conservation area that will not be developed. Of course, no description of Myrtle Beach would be complete without mentioning the city’s love affair with golf. With more than 100 area courses and over 4 million rounds of golf played each year, Myrtle Beach has rightfully earned the nickname “Golf Capital of the World.” While many of the area’s golf courses are open to the public, golf aficionados will find a tremendous selection of homes affiliated with top golf courses and private country clubs. With quick access to the beach, world-famous golf courses and exciting attractions, Myrtle Beach real estate is a perfect fit for buyers looking for a little bit of everything all in one place. 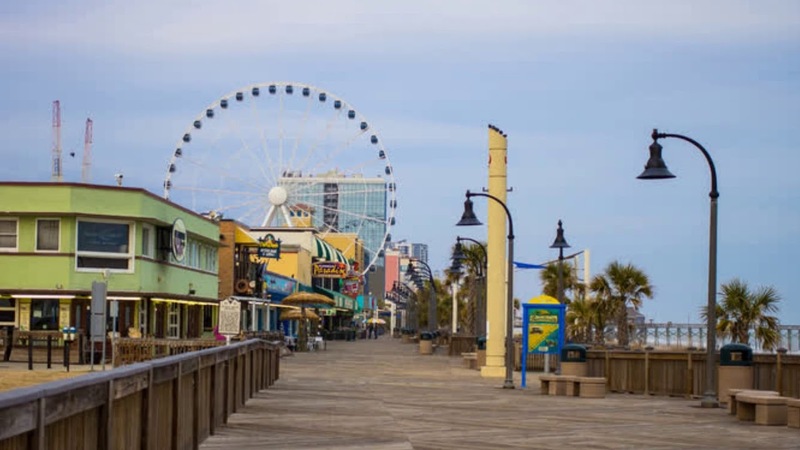 Myrtle Beach Boardwalk & Promenade– Downtown Myrtle Beach on the Oceanfront- Featuring shopping, dining, The Skywheel, Museums, Ice Cream Shops, Outdoor Concerts, and More!. New South Brewing Company– 1109 Campbell St, Myrtle Beach, SC 29577 – 843-916-2337 – Taste locally brewed beer! Find Interval Ownership Properties in Myrtle Beach, South Carolina.